Bigamy debate goes to basic cable. Steve Griffin / The Salt Lake Tribune Amanda Kingston, left, Shanell DeRieux and Jessica Christensen, stars of the television show "Escaping Polygamy," listen to a legislative hearing on a bill that would amend Utah's bigamy statutes Wednesday, Feb. 1, 2017. When the new season of ”Escaping Polygamy” premieres Monday, fans can expect another slate of people — mostly young ones — weighing whether to leave polygamous households. This season also will have a plot line that’s C-SPAN meets Salt Lake City. 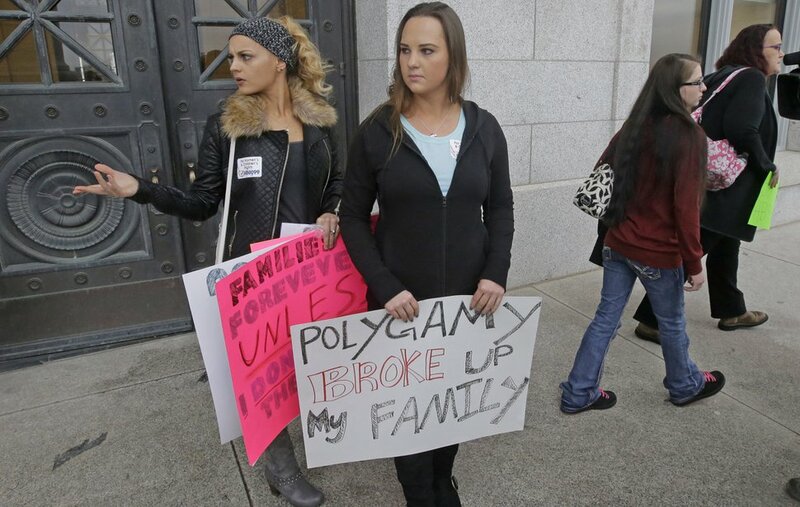 During the winter, lawmakers debated whether to target polygamy by amending Utah’s bigamy statute. In the third episode, stars Amanda, Andrea, Jessica and Shanell go to the Utah Legislature to tell them to do just that. Jessica even testified in favor of the bill, HB99. A spokeswoman for A&E, where “Escaping Polygamy” will air at 11 p.m. Mondays on Comcast in Utah and 8 p.m. on Dish and DirecTV, said in an email the third episode will include footage from the hearing where Jessica testified. The stars grew up in the Kingston Group, also known as the Davis County Cooperative Society and the Latter Day Church of Christ. ”Escaping Polygamy” discusses the lives the women lived in the group and takes a dim view of polygamy. Many episodes feature young people who want to leave the Kingstons or Utah’s other so-called fundamentalist Mormon sects because they feel neglected or repressed. Ironically, it was a polygamous family with their own television show that spurred the Utah Legislature to examine the law. In 2011, the Brown family from the television show ”Sister Wives” sued the state of Utah over its bigamy statute. 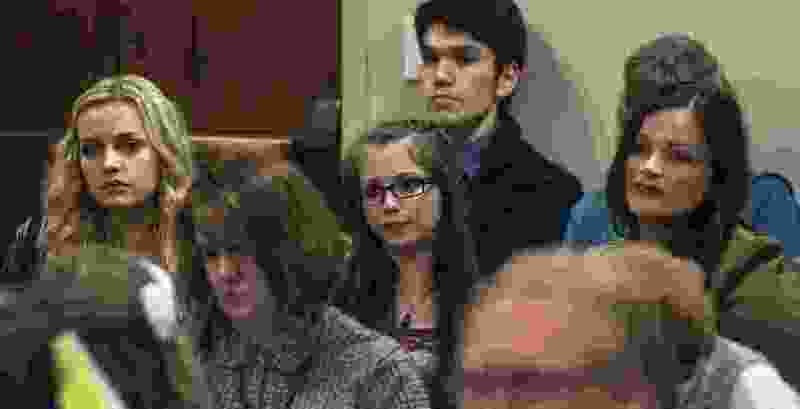 Kody and his four wives, Meri, Janelle, Christine and Robyn Brown, contended the statute made criminal conduct among people who consider themselves married, but not unmarried people. In December 2013, a federal judge in Salt Lake City ruled in the Browns’ favor and struck down the portion of the bigamy statute addressing polygamy. The 10th U.S. Circuit Court of Appeals overturned that ruling. Since the Browns weren't prosecuted for bigamy, they didn't have standing to sue in the first place, the appeals court ruled. 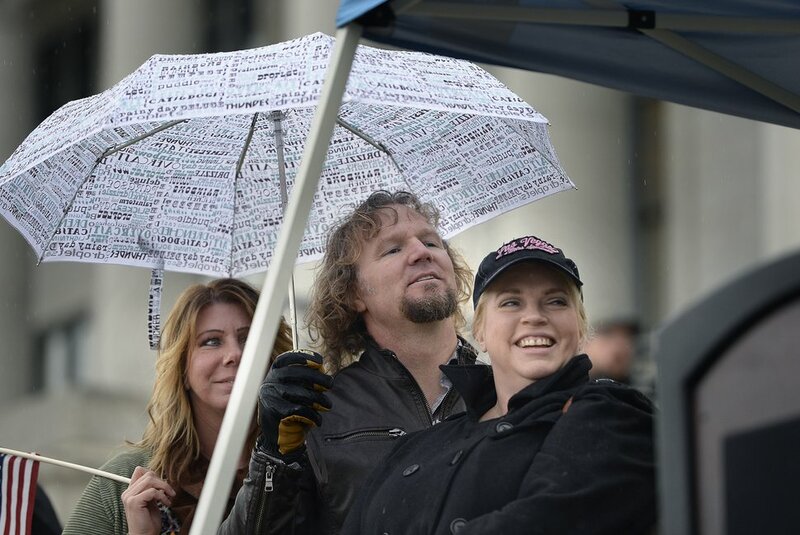 Scott Sommerdorf | The Salt Lake Tribune Polygamist Kody Brown listens to his wife Christine speak to polygamists and their supporters at a rally on the south steps of the Capitol, Friday, February 10, 2017. But the ruling by the first judge was enough to encourage some Utah legislators to redraft the statute. In the closing minutes of the session, legislators passed a bill that added criteria for bigamy prosecution: The offender would have to live with the extra spouse and “purport” to be married. The previous law required only one or the other. Bigamy remains a third-degree felony punishable by up to five years in prison, but the penalty could increase to 15 years if bigamy is prosecuted in conjunction with crimes such as abuse, fraud or human smuggling. Anyone leaving a polygamous marriage and reporting abuse or protecting a child would receive amnesty. “Escaping Polygamy” likely won't be the only reality show depicting Utah‘s bigamy debate. On Feb. 10, the Brown family rallied Utah polygamists and marched up State Street to the Capitol to protest HB99. The family’s film crew captured the scene.